 Venus will stay in your sign in July, which will make you more amiable. You’ll be eager to maintain a healthy and positive relationship with those around you. As Mercury will be in the same position, too, it will become easier for you to speak of your feelings and emotions. At the end of July, however, Mercury will turn retrograde which means you’ll have to be more careful. Closer to the middle of the month Saturn will enter your sign encouraging you to learn more about yourself, your skills, and your opportunities. Although it may seem that the period will be tougher than you’ve expected it will bring about some positive results, too, making you stronger and more self-confident. Learn how to use Leo lunar resources!